Springfield Group, a Ghanaian energy giant, has been added to the London Stock Exchange Group’s (LSEG) Companies to Inspire Africa in 2019 Report, along with a handful of others. The report, which was launched last week, is an initiative by the London Stock Exchange Group and focuses on bringing visibility to high growth, private companies across the African continent which are seen as engines of growth in the region. Springfield, whose contribution toward the development of Ghana and Africa’s energy requirements continues to be recognised, was selected from a pool of 4,000 companies currently operating on the continent in various fields of endeavour. The Group’s Chief Operating Officer, Geena Malkani – who shared Springfield’s experiences operating in Africa on a panel of discussants, indicated that the company’s entry into the upstream industry was timely and opportune as it coincided with the downturn in the oil industry along with the resultant reduced costs – affording Springfield the opportunity to self-finance most of its operations. 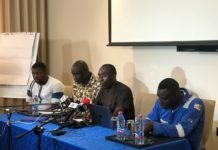 She said it took foresight and a lot of investment to build an entire team of Geophysicists and Geologists, supported by other professionals to operate for close to two years as proof of its determination and commitment, before the company was awarded its current West Cape Three Points Block 2 in March 2016 by the Ghanaian government. Ms. Malkani noted that although it was challenging for some to accept that an indigenous company could operate upstream, the authorities looked at the company’s track-record downstream where it had posted strong performances in Ghana, Mali, Burkina Faso and Nigeria as proof of its capacity and gave it the nod. “We were expected to prove our competency and we did. Ever since we got in there, it has not been easy operating as an indigenous company compared to other international oil companies (IOCs) that have relatively easier access to capital from their home countries, but we have remained active on our Block,” she emphasised. This year’s report was created together with partner-organisations like Asoko Insight, Price Waterhouse Coopers (PwC), the African Development Bank and CDC Group. 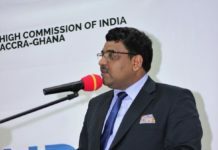 Springfield’s latest feat comes on the heels of a Special Award and Recognition of Kevin Okyere, Founder and Chief Executive Officer of the Group, at the 5th Ghana Oil and Gas Awards for his vision in establishing the nation’s only independent exploration and production company that is active in the upstream industry. Springfield Group is a cluster of energy companies that has grown to become one of the leading entities in the provision of upstream and downstream services in the Petroleum Industry of West Africa. Its flagship subsidiary, Springfield E&P, is currently the Operator and Majority Interest Holder of West Cape Three Points Block 2 – with the Ghana National Petroleum Company and its exploration company, EXPLORCO holding a minority interest. The company is currently exploring and evaluating new discoveries as well as appraising t existing discoveries on the Block, and is expected to announce a drilling campaign by September this year.